And they are some of the taxing authorities that love these low turnout odd year elections…because they can rouse supporters to vote…hopefully…and get the referendum passed. So they are floating a mess of these things today and keeping their fingers crossed. So how many and how much? 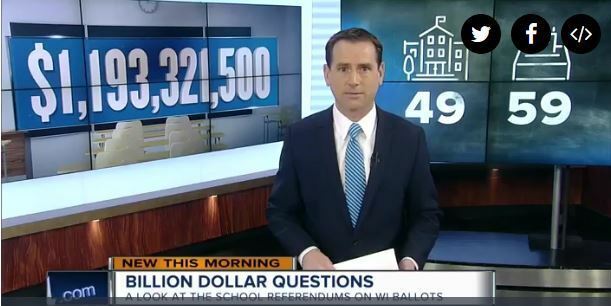 Well 49 school districts…59 referenda…$1.2 Billion!! Is it really appropriate that less than a third of the voters will get to spend $1.2 billion??? yikes!! !